1. 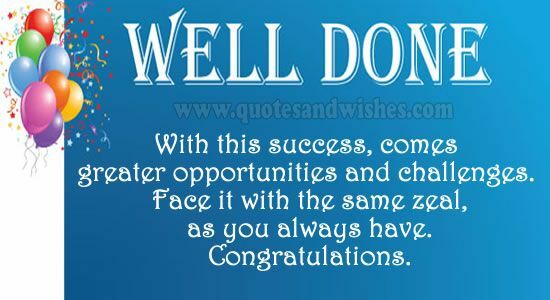 I would like to congratulate you on your success. 3. How great of you to make this invention. 4. 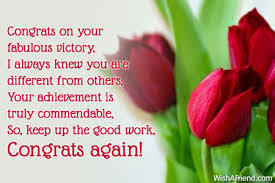 I should like to compliment you on your achievement. 5. 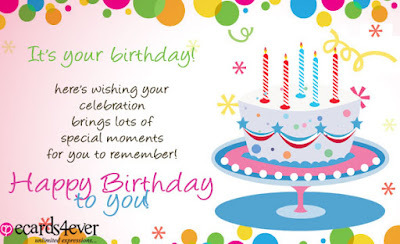 It gives me great pleasure to congratulate you. Fina : I Hear that you have won a speech contest, is it true ? Ayu : yes, you are right, the competition was held last week, but today is the announcement. FIna : oh..thats fantastic, you are really so smart. 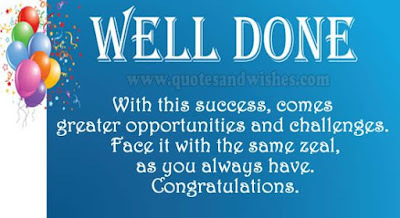 Congratulations on your success. Ayu : thanks you very much. As the celebrations I will buy you some snack and drink at the cafeteria, lets go to the cafeteria. Fina : thanks, I really proud as your friend. Nura arrives in a big city to help her parents settle their debts. She moves into Juna’s house as a hired servant. In the house, Juna is a rich and proud young man who inherits his father’s business.He is lazy and goes to campus just to meet friends and chase pretty girls who love his wealth. In his chaotic life, Juna is betrayed by his own cousin and uncle leading to his downfall. Juna’s life is in a real mess. However, Nura helps him gain his confidence and reorganize his life. Nura begins to teach the rich spoiled brat some manners through her down to earth scolding and no-nonsense attitude. The girl helps him pick up the pieces in his life, from defeat to success. Finally, after a long struggle and hard work, he can regain his life. He is now in the position of the director of the company that he inherits from his father. Many of his friends congratulate him. Johny, his best friend, says, “Congratulations! You deserved it, man. “Thank you very much. This is because you’re always with me,” Juna responds cheerfully. “I’m very happy for you, Juna. Your company is now back to you,” another friend says. Nura observes this event from the backdoor. She cries happily for her master who has changed into a mature, stable young man. 3. What’s Juna’s negative characteristics? 4. How does Nura teach Juna? 5. What leads Juna’s life to his downfall? 6. What does Nura do to return the wealth of Juna’s family? 7. Who first congratulates Juna when he regains success? 8. How do they congratulate Juna? What expressions are used? 9. What expressions are used by Juna’s staff to congratulate him? 10. How does Nura feel about Juna’s achievement? and wishing you a wonderful future..
filled with dreams coming true. Belum ada tanggapan untuk "Congratulating others in english"